A former Cuban exile anti-Castro militant told a conference audience Sept. 26 in a blockbuster revelation that he saw accused presidential assassin Lee Harvey Oswald with their mutual CIA handler six weeks before the killing and there would have been no anti-Castro movement in Cuba without the CIA funding. Antonio Veciana, the acknowledged leader of the Alpha 66 assassination squad of Cuban exiles in the early 1960s, made the statements in a dignified but emotion-laden manner at this year's major conference analyzing the Warren Commission report on murder of President John F. Kennedy Nov. 22, 1963 in Dallas. Alpha 66 is alleged to have tried to kill Cuban leader Fidel Castro on two occasions, but Veciana, a onetime certified public accountant for a wealthy Cuban in the years before the revolution, has never been been charged with an attempt. 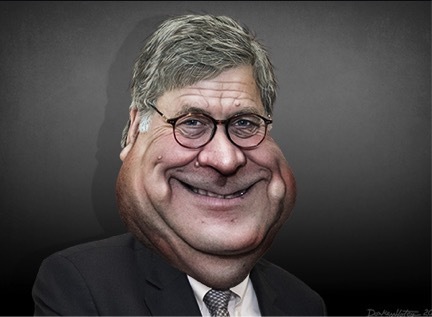 Separately, the general counsel of the last major government investigation into the killing issued a statement saying the CIA had deceived him and the rest of the public during the late 1970s inquiry into the validity of the Warren report. Former House Select Committee on Assassinations (HSCA) General Counsel G. Robert Blakey issued the statement during the conference Sept. 26-28 organized at the Bethesda Hyatt Regency Hotel in Bethesda, MD by the Assassination Archives and Research Center (AARC). Veciana said he is convinced the CIA organized the president's murder and that he saw Oswald meeting with a CIA official in Dallas because Veciana arrived at his meeting fifteen minutes too early. Veciana said he believes Oswald was a CIA operative whom the agency decided to blame for a killing it organized in a complex plot. Veciana said his CIA handler was the late David Atlee Phillips, shown in a file photo above at right. 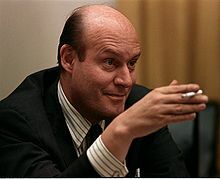 Phillips was a high-ranking CIA official who used the cover named "Maurice Bishop" during his many meetings with Veciana. Earlier this year, Veciana confirmed to researcher Marie Fonzi, widow of his friend the author Gaeton Fonzi, that "Bishop" was "Phillips." But Veciana has never previously answered questions in a public forum. 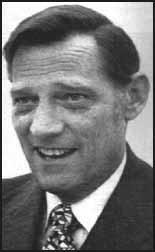 The CIA placed Phillips in charge of the CIA's Cuba operations after the newly created agency recruited him from newspaper work in 1950s. According to biographers, Phillips, a former actor born in Texas, used hundreds of aliases in his CIA work, which included a role in the CIA's covert overthrow in 1954 of the left-wing government of Guatemalan leader Jacobo Arbenz Guzman. After retirement from the CIA Phillips organized thousands of fellow intelligence officers into the politically influential Association of Former Intelligence Officers. The group quietly helped support the political career of former CIA Director George H.W. Bush and Bush allies, among other endeavors. Veciana, 85, spoke through a translator and with a son by his side. He said he was trained as a CPA and admired "Bishop" and the CIA deeply for many years. Now, however, he said he wanted to set the record straight because he has come to admire also Kennedy, whom and he and Phillips once regarded as a "traitor" for allowing communist Cuban leader Fidel Castro to remain in power. Blakey, shown in a file photo from his longtime work as a professor of law at Notre Dame University, spoke Sept. 27. He reiterated his statement read by former colleagues the previous day, and answered questions. His statement is available via a link at the top of the AARC site here. Blakey's committee issued a report in 1979 on behalf of the House scrutinizing the original 1964 Warren report. The two admissions were part of an explosive agenda for the conference, which I helped open with an address on why the 50th anniversary of the Warren report is a unique, historic opportunity to solve the nation's most important murder, one whose after-effects continue to the present with the unchecked power of the CIA as a secret government. I amplified on that theme on Sept. 27 in an afternoon panel "Why Won't the Media Cover the Story?" 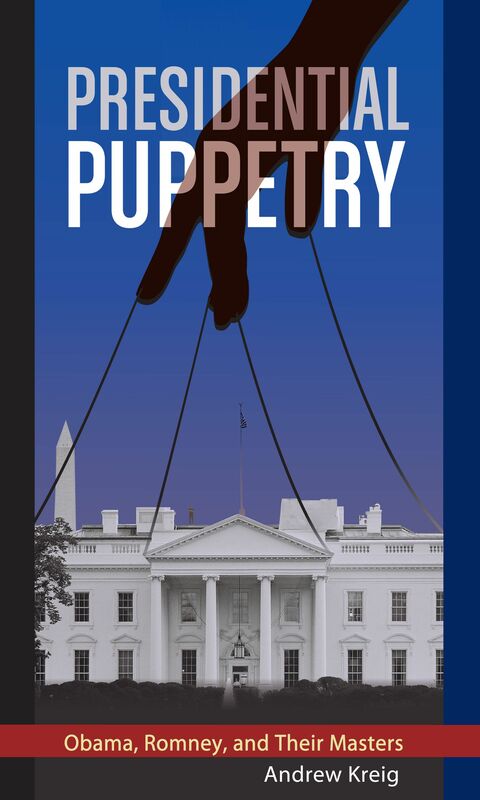 The remarks drew from my recent book research for Presidential Puppetry: Obama Romney and Their Masters, which documents on the record how all recent presidents, including Barack Obama, were involved with CIA or FBI covert information-gathering operations before they entered politics. These kinds of under-reported relationships foster the ascendancy of the nation's leaders -- including in business, politics, academics and the media -- in ways unknown to the general public. The methods? For those in the media and academia, it's by facilitating book contracts, university posts, television appearances and consultancies for those with pro-Warren themes and thwarting others seeking to offer contrary evidence, such as Oswald's role as a CIA and FBI under-cover operative. As previously reported here and elsewhere, the CIA used Operation Mockingbird to control messaging at major news organizations in the 1950s and 1960s. Also, the CIA generated a now-declassified memo in April 1967 instructing its operatives to use major newspapers and broadcast outlets to describe critics of the Warren Commission as "conspiracy theorists" unfit for belief or employment. The conference panel agreed for the most part that ownership and top management of mainstream news organizations have thwarted for the most part meaningful coverage of vital discrepancies in the Warren report. To do so would call into question a half century of slanted and biased government statements and reporting. However, one panelist said Warren report critics need to do a far better job in reaching out in a professional manner to journalists and their outlets. Among the conference highlights, a team of professional actors provided a dramatic reading Sept. 27 of a long-secret transcript of a Commission meeting in January 1964 in which commissioners secretly addressed the threat that two newspaper reporters posed. 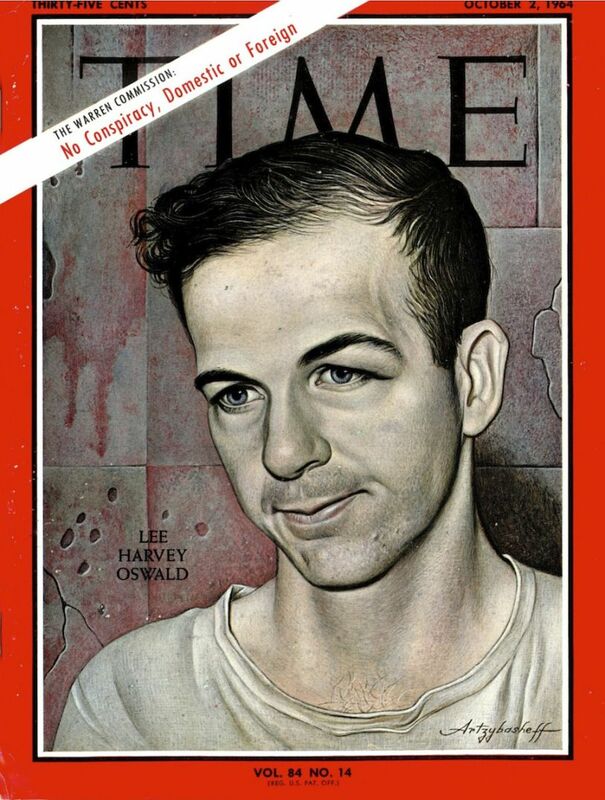 According to Texas law enforcement officials, the reporters had discovered that the supposed "lone nut" Oswald was actually an FBI paid asset from the time he returned to the United States following his sojourn in the Soviet Union through the time of the JFK assassination. At the conference also, Oswald's friends Buell Wesley Frazier and Dr. Ernst Titovets said they never believed their friend could be guilty of murder. They regarded him as a "patsy" -- as Oswald claimed before he was murdered by Jack Ruby at a Dallas police station two days after the assassination. Frazier made his first public appearance to describe his experiences on the day of the assassination. He said that at age 19 he drove his fellow worker Oswald to work at the Texas Book Depository on the fateful day of the assassination. Frazier said a package Oswald carried was too small to contain a rifle, as the Warren Commission claimed. He recalled that police detained him and threaten him in a fruitless effort (regarding Frazier) to obtain incriminating evidence against Oswald. Titovets is a professor of medicine in his native Belarus, with M.D. and Ph.D. degrees in the field of brain and other neurological research. He has published a new edition of his 2010 memoir: Oswald: Russian Episode. In other conference news, professor, author and former intelligence officer Dr. John Newman traced more than a dozen of the Phillips identities to show his work was so secret that even his internal memos at the CIA, now declassified in part, show that he was trying to fool fellow employees about his activities. 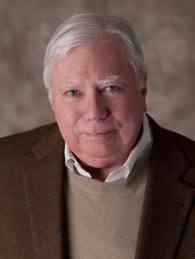 Also, AARC President James Lesar called for an end of obstruction by the National Archives in complying with the provisions of a 1992 law passed unanimously by Congress to make all available records public regarding the JFK murder. Lesar, an attorney fighting freedom of information battles, has argued that the CIA exercises too much influence over the Archives and other Washington officials on the issue. C-SPAN covered the conference's opening, but has not yet announced its cablecast schedule on C-SPAN 3 while the video is being edited. For further links on the conference, see the links below, most notably in our recent column, Washington Post Still Selling Warren Report 50 Years Later. The column shows both how the newspaper continues to suppress and distort reporting about the killing. The column includes also a link to a gripping video statement made in 1967 by New Orleans District Attorney Jim Garrison, who unsuccessfully brought murder conspiracy charges in the JFK death murder against a CIA operative, businessman Clay Shaw, and perhaps more importantly eloquently described for the ages why American citizens deserve the full facts of the killing even though it might prove temporarily embarrassing for some government officials or news executives. President Lyndon B. Johnson was the former Texas senator and vice president who succeeded Kennedy after the assassination. Johnson named the seven-member Warren Commission to reassure the public. The commission was named for Supreme Court Chief Justice Earl Warren and included former CIA Director Allen Dulles. Just three days after Kennedy's Nov. 22 killing, Deputy Attorney General Nicholas Katzenbach wrote Bill Moyers, the major communications adviser to incoming president. Johnson is shown in a file photo giving instructions to Moyers. As top deputy to Attorney Gen. Robert Kennedy, Katzenbach -- a Princeton-Yale-Oxford-schooled mandarin -- helped lead the Justice Department and White House toward a predetermined conclusion against Oswald. Like many orchestrating or otherwise involved in the cover-up, Katzenbach had many fine qualities and career successes widely celebrated through the decades. The honors and promotions occurred even as they hid career-enabling secrets, which many of the officials have confided (according to books and documents) they undertook with various patriotic motives. As reported last year here on this site in our Readers Guide to the JFK murder, virtually all major U.S. publications and broadcasters have supported the Warren Commission findings to the present. The news outlets have trivialized contrary evidence as "conspiracy" on the rare occasions they address it even if significant evidence, as in the Veciana comments, suggests that Oswald was a cog in larger operations and did not necessarily mean any harm to Kennedy, whom Titovets described as Oswald's hero. Time Magazine illustrated the ongoing pattern this year in Behind the Scenes: The Complete Kennedy Assassination Story, its nine-page special supplement on Sept. 24 (excerpted below) extolling the Warren Commission and vilifying Oswald, shown at right in a 1964 cover story. "The public must be satisfied," Katzenbach wrote Moyers in a now declassified memo, "that Oswald was the assassin; that he had no confederates who are still at large; and that evidence was such that he would have been convicted at trial." Katzenbach, shown at left, was promoted by Johnson to become attorney general. Moyers went on to an illustrious career in newspapers and broadcasting, often adopting a liberal and moralistic point of view. In April 1967, the CIA created a 50-page memo, "CIA Dispatch 1035-960." The directive instructed CIA assets to explain to their media contacts worldwide how to defend the Warren Report and attack its critics. The document is here in the original, and here in reformatted text of its summary. 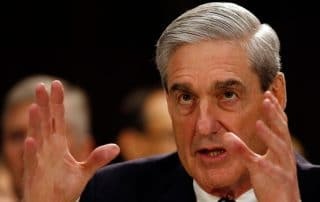 This memo initiated the “conspiracy theorist” smear that continues to this day against anyone who speaks against a crime potentially committed by United States government agents working in military, law enforcement or intelligence services. Editor's Notes: On OpEdNews here, a shorter version of the above column provides a section for reader comment and discussion. Also, the column above was updated, including correction of several broken hyperlinks, following original publication on the morning of Sept. 27, 2014. The column continues a series in the "JFK Readers Guide" series here treating major books, videos, events, organizations and revelations, especially those at the AARC conference that I assisted in organizing as AARC’s business development director. The opinions expressed in the column are independent of AARC's and do not necessarily reflect its views. 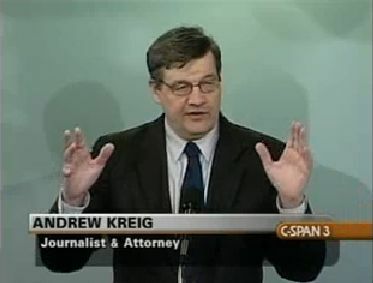 C-SPAN 3, Current Implications of the JFK Assassination Cover-Up, Andrew Kreig with introduction by moderator Alan Dale, Nov. 4, 2014 (originally Sept. 26, 2014) (55 min.). 50th Anniversary of the Warren Report. At a Sept. 26 conference, researchers talked about assassination related documents that have been declassified in the past 50 years. In September of 1964, the President’s Commission on the Assassination of President Kennedy released their findings to the public in the “Warren Report” -- named after the commission’s chairman -- Supreme Court Chief Justice Earl Warren. This was part of “The Warren Report and the JFK Assassination: A Half Century of Significant Disclosures,” a conference marking the 50th anniversary of the release of the Warren Report. People in this video: "JFK Conversations" Host Alan Dale and journalist/attorney Andrew Kreig. C-SPAN 3, JFK Assassination and the CIA, Assassination Archives and Research Center (AARC), Oct. 26, 2014, recorded on Sept. 26, 2014 (90 min.). In "Oswald, the CIA, and Mexico City," retired U.S. Army Intelligence officer and former assistant to the NSA director Dr. John M. Newman discussed declassified documents and code-names related to the CIA, Cuba and the assassination. 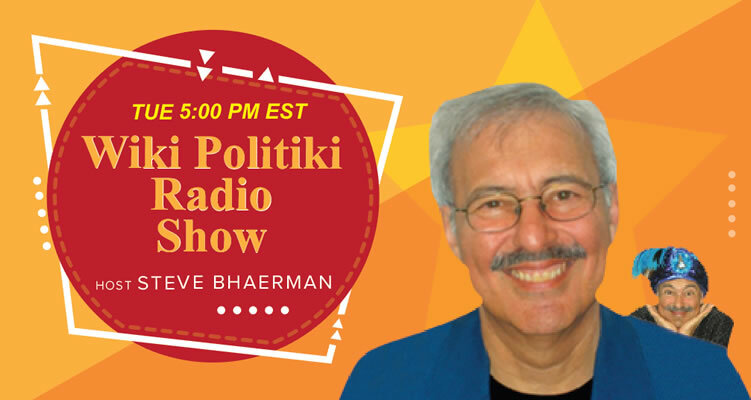 A longtime professor, Newman is the author of JFK and Vietnam and Oswald and the CIA. This is part of a conference by AARC marking the 50th anniversary of the release of the Warren report entitled, The Warren Report and the JFK Assassination: A Half Century of Significant Disclosures. The first of many panels/sessions was on C-SPAN 3. In "The HSCA and the CIA," former HSCA researchers Edwin Lopez and Dan Hardway described their time in the late 1970s working for the U.S. House Select Committee on Assassinations (HSCA). Sept. 26, 2014. In "U.S.-Cuba Back-channel Communications After the Bay of Pigs," Dr. Peter Kornbluh talked about President Kennedy’s attempts to open up private channels of communication with Cuba. Sept. 27, 2014. In "CIA and the HSCA: How CIA Controlled the HSCA and the Writing of Its Final Report," Dr. Joan Mellen discussed the Central Intelligence Agency’s (CIA) relations with the HSCA. Sept. 27, 2014. 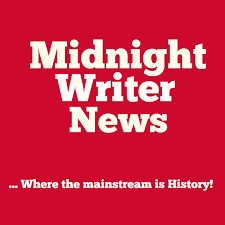 OpEdNews, Cuban Exile Militant Claims CIA Meeting With Oswald Before JFK Killing, Andrew Kreig, Oct. 1, 2014. A former CIA assassination team leader told a conference audience Sept. 26 in a blockbuster revelation that he saw accused presidential assassin Lee Harvey Oswald with their mutual CIA handler six weeks before the killing and there would have been no anti-Castro movement in Cuba without the CIA funding. 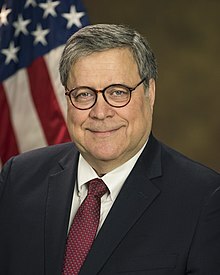 Separately, the general counsel of the last major government investigation into the killing issued a statement saying the CIA had deceived him and the rest of the public during the late 1970s inquiry into the validity of the Warren report. Boston Globe, 50 years later, doubts still raised on Warren Report, Cat Zakrzewski, Sept. 27, 2014. Fifty years after the Warren Commission concluded that a lone gunman killed President John F. Kennedy, a conference examining the assassination convened here, dominated by skeptics who mulled over conspiracy theories and cast doubt on official reports. 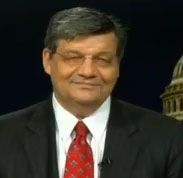 One panelist, John Newman, who gave a presentation on CIA pseudonyms used by agents connected with the Kennedys, said the Warren Report “was not just wrong. The longer we have to study the case, the wronger its conclusions become.” his gathering, five decades after the Warren Commission published its report on Sept. 24, 1964, drew more than 200 people. It was sponsored by a private group, the Assassination Archives and Research Center, which says on its website that it is the world’s largest private archive “dedicated to acquiring, preserving, and disseminating information on political assassinations.” One of the speakers, Antonio Veciana, an 86-year-old involved in the anti-Castro movement, said through a translator that he had seen a CIA officer in Dallas with Lee Harvey Oswald before Kennedy’s assassination. Attendees had so many questions for Veciana that his talk went almost an hour over the allotted time. WWL AM/FM (New Orleans CBS-affiliate and "The Gulf South's Regional Powerhouse"), Eric Holder's resignation as U.S. attorney general, morning host Tommy Tucker (right) interviewed on Sept. 26, 2014 author and Justice Integrity Project Director Andrew Kreig to review of Holder's performance during six years as the Obama administration's Attorney General. A particularly focus of the interview was the issue of transparency, including records the administration continues to hide regarding the 1963 assassination of President John F. Kennedy despite the requirements of disclosure under the 1992 JFK Act unanimously passed by congress. WND, JFK theorists gather, press for document release, 50th anniversary of controversial Warren Commission Report, Jerome R. Corsi, Sept. 27, 2014. On this 50th anniversary of the publication of the Warren Commission Report, the Washington-based Assassinations Archive and Research Center, or AARC, opened a three-day conference Friday featuring an all-star cast of JFK assassination “conspiracy theorists.” AARC President James Lesar began the conference by urging attendees to lobby Congress in support of a Freedom of Information Act request his organization has filed with the National Archives and Records Administration, or NARA. AARC is protesting a NARA decision to withhold from the public until at least 2017 more than 1,000 classified government documents on the JFK assassination. Lesar and his organization argue the 1992 JFK Records Act mandated the public release of all JFK assassination files in the government’s archives. Attorneys Dan Hardway and Edward Lopez, who as law students co-authored the House Select Committee on Assassinations’ long-suppressed report, “Oswald, the CIA, and Mexico City,” kicked off the conference with details of their accusation that the CIA suppressed information about Oswald’s trip to Mexico City prior to the assassination. They say Miami-based undercover CIA agent George Joannides suppressed information on Oswald’s efforts to penetrate the CIA-created Cuban Student Directorate. Hardway and Lopez filed, along with a diverse group of authors and legal exports supported by former House Select Committee on Assassinations’ chief counsel G. Robert Blakey, a lawsuit to force the CIA to release information on the agency’s involvement with Oswald and various Cuban groups. 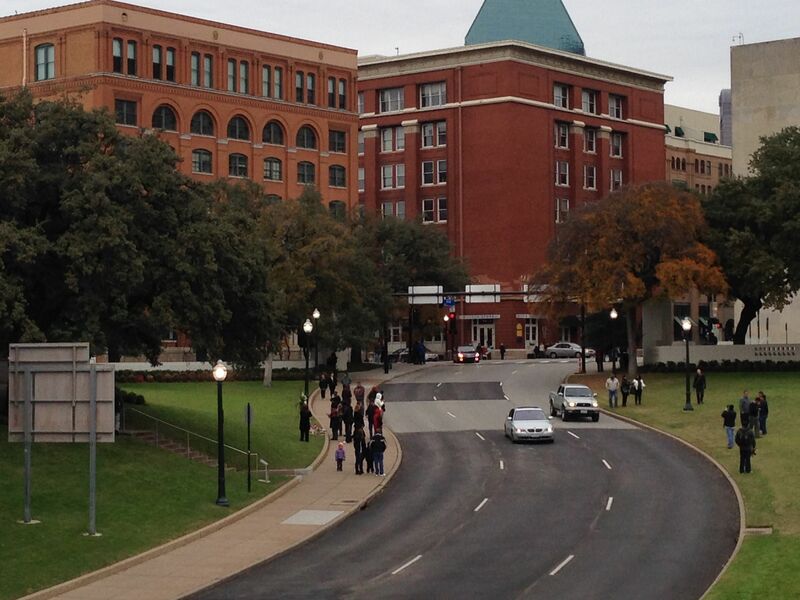 OpEdNews, Symposium on the JFK Assassination: Day One, Josh Mitteldorf, Sept. 27, 2014. There are people who have devoted their careers to untangling the history of the JFK assassination, and for this I am grateful. But I came to the AARC conference in Bethesda this weekend hoping to get a broad sense of who was behind the plot, and how heirs to power in the wake of JFK continue to corrupt America to this day. In this, I was disappointed. Fifty years on, there is agreement only on the outline of a narrative: JFK was shot by several gunmen hiding on the ground in Dealey Plaza. Oswald had been pre-selected as scapegoat. CIA and LBJ were prime movers in the plot, but they could not have gotten away with what they did if JFK had not stood up to powerful military and financial interests and provoked their ire.In the day's high point, we heard a first-hand confirmation of CIA primacy in the plot. 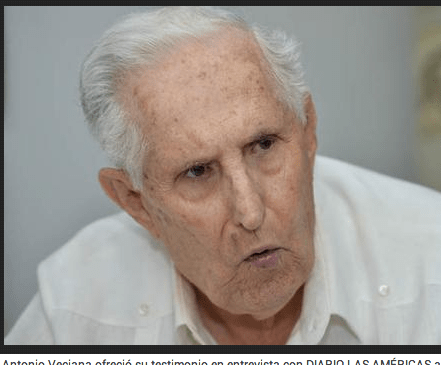 Antonio Veciana, now 86 years old and infirm, was a Cuban exile and anti-Castro activist, recruited by CIA personnel. 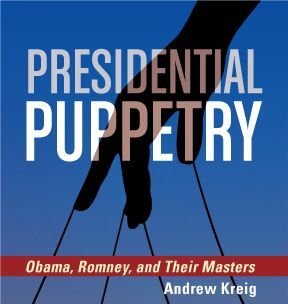 Threads to the Present Andrew Kreig, author of Presidential Puppetry and occasional OEN contributor, makes a case that the JFK assassination fundamentally changed American politics. Presidents from LBJ through Obama have understood that they serve at the pleasure of the CIA, and demands placed on them have been increasingly audacious and destructive. Kreig goes further to assert that every recent presidential candidate (both parties) has been pre-vetted, trained and promoted by the CIA. This speaks to the importance of correcting the record, and of the timeliness of a new investigation to tell us who were the heirs to power in the wake of the Coup of 1963, and how they connect forward to the people leading our country today. Republished on LewRockwell.com. AlterNet, Dear Mr. President, It's Time to Obey the Law: Release the JFK Secret Service Records and End Other Needless Secrecy, Thom Hartmann and Lamar Waldron, Sept. 25, 2014. It's time for the Secret Service, CIA, and FBI to obey the law by releasing their 50-year old files, and to pardon the first Secret Service whistleblower. Last week's problems with the Secret Service and White House security also warrant your attention. Secrecy is especially ironic since this week marks the 50th anniversary of the release of the Warren Report, the book-length finding issued by the Warren Commission, appointed by President Lyndon Johnson and chaired by Supreme Court Chief Justice Earl Warren. The Secret Service was one of several government agencies--along with the CIA, the FBI, and the Office of Naval Intelligence--that were found by later government committees to have withheld crucial information from the Warren Commission. Congress passed the 1992 JFK Records Act unanimously, to release all of the files related to the JFK assassination, including records about the covert US operations against Cuba in the early 1960s that surfaced in so many of the official JFK investigations. While more than 4 million pages were released, even today the National Archives refuses to say how many pages of files remain secret. Is it 50,000 pages, a figure put forth by some experts? 90,000 pages, a figure extrapolated from CIA fillings in a Freedom of Information lawsuit? Or the figure reported by NBC News in 1998 of "millions" of pages, which was confirmed by a report from OMB Watch, which quoted someone who worked with the National Archives as saying "well over a million CIA records"--not pages, but "records"--remained unreleased. OpEdNews, Cuban Exile Militant Claims CIA Meeting With Oswald Before JFK Killing, Andrew Kreig, Oct. 1, 2014. Editor's Note: This briefer version of the above column has an active comment section for discussion. A former CIA assassination team leader told a conference audience Sept. 26 in a blockbuster revelation that he saw accused presidential assassin Lee Harvey Oswald with their mutual CIA handler six weeks before the killing and there would have been no anti-Castro movement in Cuba without the CIA funding. 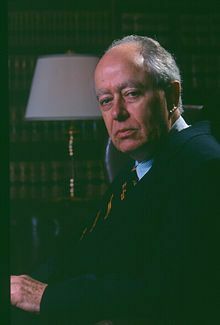 Separately, the general counsel of the last major government investigation into the killing issued a statement saying the CIA had deceived him and the rest of the public during the late 1970s inquiry into the validity of the Warren report. Diario de Las Americas via JFK Facts, Translation: Kennedy was killed by the CIA, says a former agent, Iliana Lavastida, Feb. 11, 2014. “The death of John F. Kennedy was a coup, an internal conspiracy," says Antonio Veciana with absolute conviction and willingness to reveal what he considers a historical truth. The Cuban exile and former agent of the CIA gave his testimony in an interview with the Diario de las Americas 50 years after the assassination in Dallas on Nov. 22, 1963. JFK Facts, Why the liberal press ignored the 50th anniversary of the Warren Commission, Jeff Morley, Sept. 29, 2014. The 50th anniversary of the Warren Report is, among many things, a reminder that much of the country does not have faith in the efficacy and integrity of the federal government to provide an accurate account of JFK’s death. In other words, the 50th anniversary of the Warren Commission’s report was a reminder to the journalistic professionals that their perspective on this highly symbolic issue is not credible with most people. For us people who want to be, somehow, in the business of truth, that’s not a happy thought. So superbly talented and exquisitely liberal-minded reporters and editors avoided the subject. While most Americans think it likely that someone in a position of power used assassination to advance their goals in 1963, a declining profession is clinging to the obsolete story that one man alone killed JFK for no reason (and then another killed the first guy–for no reason). It is an odd faith. Or is it a symptom of decline? C-SPAN, National Archives program about the JFK Assassination Records airs Sunday, Sept. 28 at 6p & 10p ET on C-SPAN3 (1 hour, 29 minutes). Interview with U.S. National Archives official on why Archives plans not to release hidden JFK records until 2017. Beyond JFK: A Question of Conspiracy, Directors Danny Schecter with Barbara Kopple, Embassy Pictures, 1992. Documentary.